During our Community Health Improvement Planning process, we recognized that for our plan to truly impact inequities, we needed to build the case for equity among all our partners. We moved to a community-driven approach guided by shared values—moving both hearts and minds towards improved health for all in Cuyahoga County. HIP-Cuyahoga is also seeking community members to engage in some specific ways. The chronic disease management subcommittee is recruiting residents to volunteer to take charge of your health by attending a chronic disease management class, or taking a course to become a community health trainer. 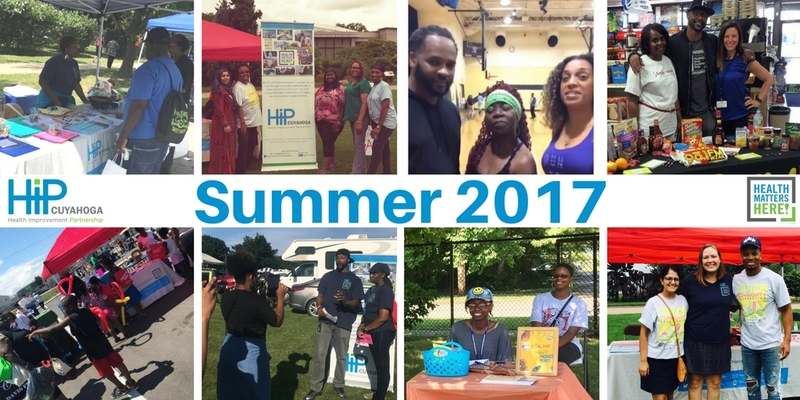 HIP-Cuyahoga participated in numerous popular community events throughout 2017. Events such as The All City Community Celebration, CiCLEvia East and Central, Glenville Festival, Family Unity in the Park, and the East Cleveland Block Party provided great opportunities for the community health ambassadors to help spread the healthy news, collect feedback on specific issues, and get more people involved. We reached an estimated 1450 people through these inspiring community events, which all focused on healthy and thriving communities. Several local community health ambassadors are helping to spread the news about healthy opportunities to eat healthy and be active around Cleveland. 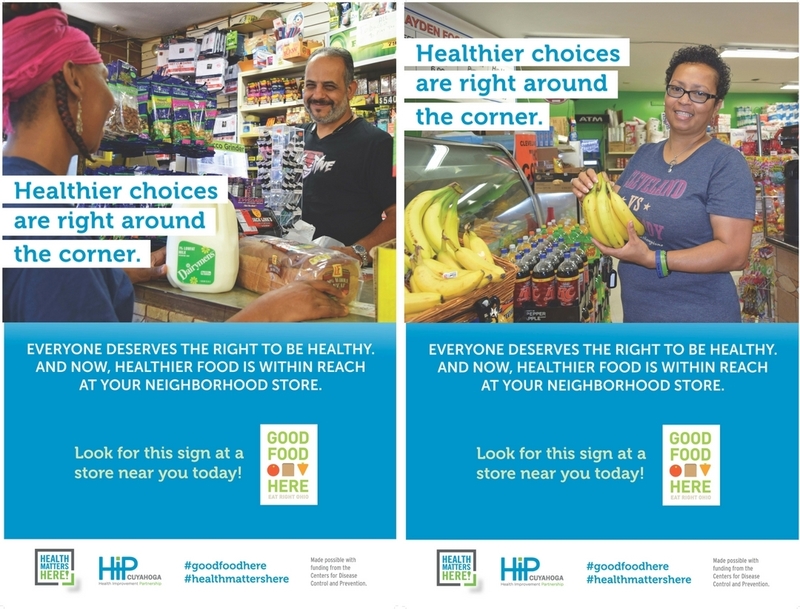 Ms. GiGi and Ms. D are featured on our latest Healthier Choices are Right around the Corner ads. 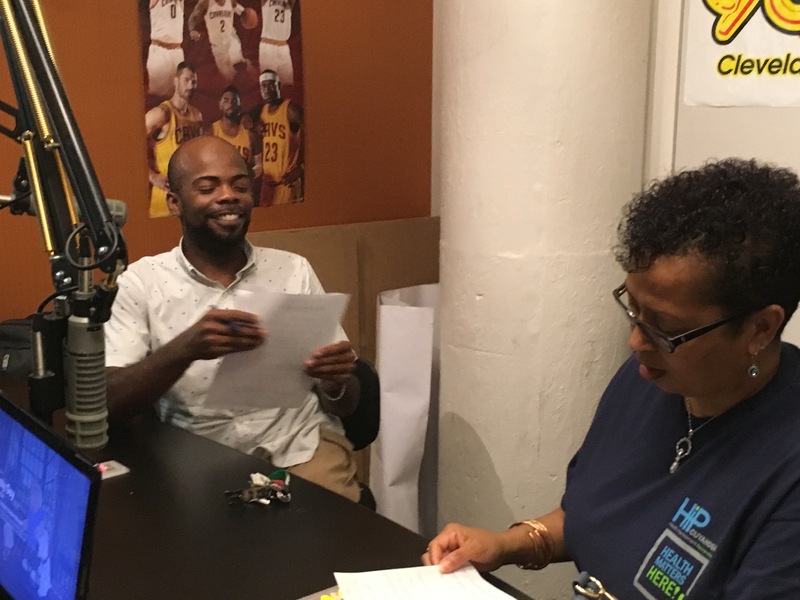 Several local community health ambassadors helped promote the HIP-Cuyahoga Community Day with pre-recorded commercials and on live spots the day of the Community Day 2016 event. Click on the players below to listen to James and GiGi. To the sound of person’s heart beat on an EKG, the beginning of this video shows images of environmental and structural inequities that result in unequal opportunities for Cleveland’s East side residents. These unequal opportunities attribute to poor health which leaves our residents living shorter lives.Eventually, the sound flat lines, showing how Cleveland residents want to put an end to these issues. Through REACH (Racial and Ethnic Approaches to Community Health), a resident team compiled of individuals from Glenville, East Cleveland and South Collinwood have volunteered their time to be community ambassadors for health equity in their neighborhoods. As we start to see in the second half, images of environmental, economic and personal development flash to the sound of a strong and healthy heartbeat. A special thank you to Delores Collins (Ms. D) and Teonices Smith (Ms. T) for the vision of this video. Thank you to Colleen Kelly, REACH Intern and Briana McIntosh, REACH Community Fellow/Project Coordinator, for compiling this video for the resident presentation at the “Health Matters Here” Community Day on September 26th. Video made possible by the Centers for Disease Control and HIP-Cuyahoga. To address the prevalence of diseases like diabetes, high blood pressure, heart disease and other chronic diseases that disproportionately impact low-income families and communities of color in the greater Cleveland area, HIP-Cuyahoga, with funding from the Centers for Disease Control and Prevention, enlisted the help of local residents to support strategies to both prevent and manage health issues in their neighborhoods. Read about our Community Ambassador resident teams and how they’re working to make their communities healthier.